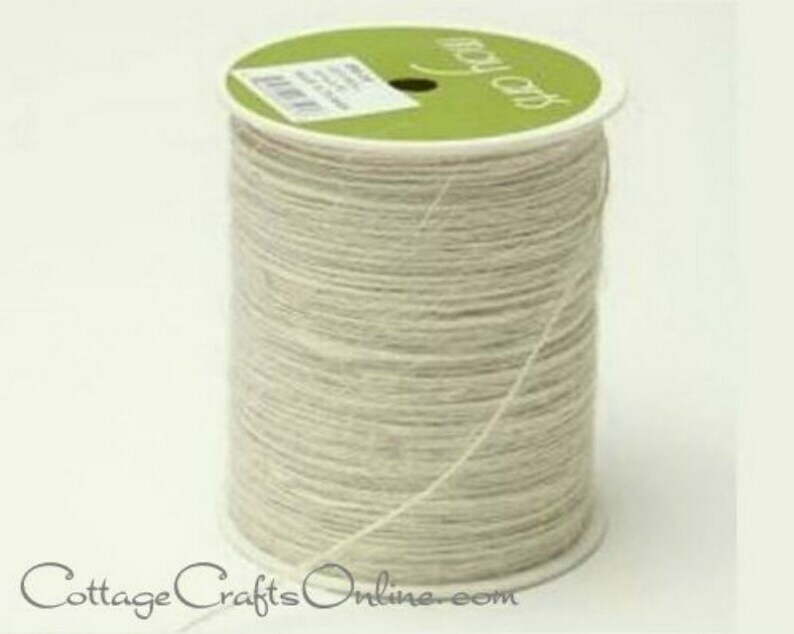 Ivory twisted burlap jute string approximately 1/32" diameter from May Arts. Good for all kinds of crafts, decor and packaging. Makes a great thread for edging handsewn crafts and felted items. This listing is for a 400 yard roll. Super fast shipping!! Love this fine twine! It gives a perfect finishing touch on cards and small gift packaging.